I'm very late to the Gone Home bandwagon. It's a game that has been available for well over a year and a half. I've had it sitting in my Steam library for quite some time, but only just now got around to playing it, since I've been busy with other games and projects. 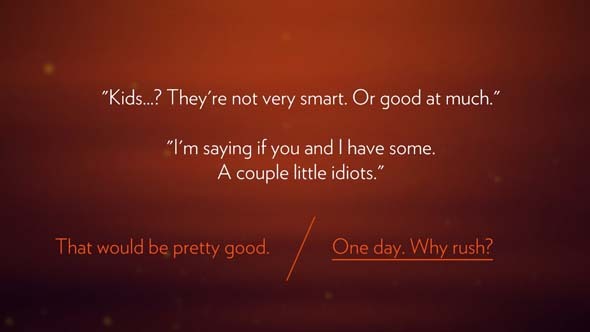 The game has already received piles and piles of critical acclaim, awards, and accolades, and I can't imagine that I have anything new to add to this conversation. It was very hard to go into this game without a bias considering that I already knew a bit about how it would play out, and that it's received overwhelmingly positive praise. 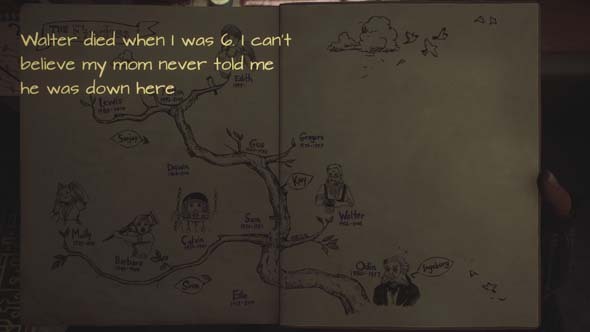 But now that I've played it, I can say that Gone Home deserves every bit of praise that it receives! adds to the sense of realism. 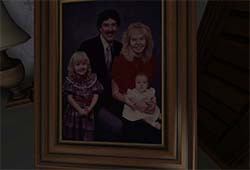 The premise of Gone Home is that the player assumes the role of Kaitlin Greenbriar, a young woman arriving at her family's new house for the first time after a year of university abroad. She finds the house empty. Her younger sister apparently got into a fight with her parents and has run away. 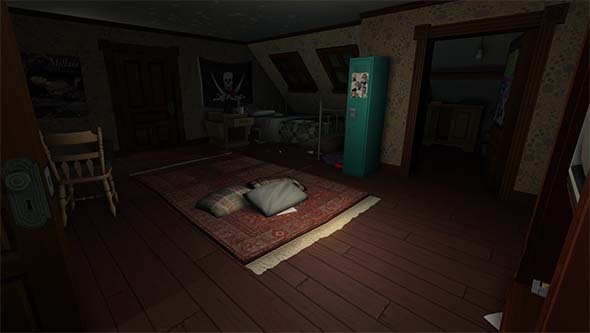 The player must explore the house to discover clues as to what happened in the family, why Sam ran away, and where she is now. 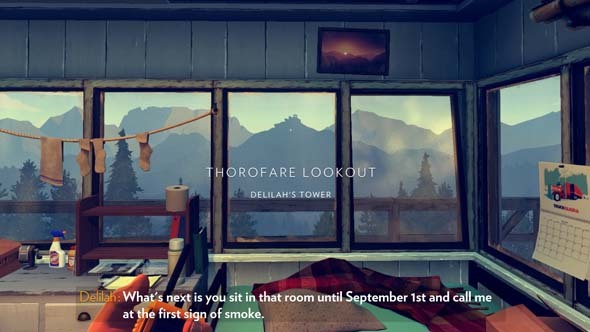 To discover the details of the situation, the player must explore the house, reading hand-written notes, looking at journals, looking at photographs, and picking up cues from the environment in order to piece together the story. Each note has distinct hand-writing, and by the end of the game, you'll even start to recognize the handwritings and know who wrote a particular note before you even pick it up. 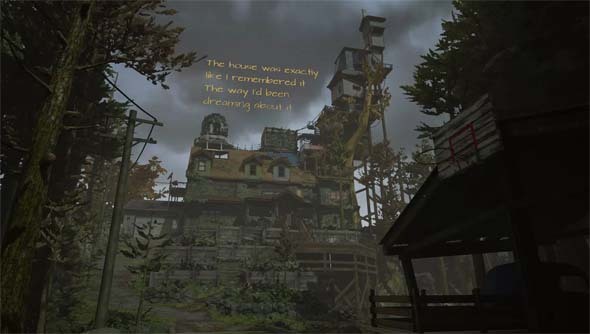 By observing the house, reading notes, and hearing journal voice-overs, the player begins to piece together the family's story. The primary narrative revolves around a budding romance between Kate's younger sister, Sam, and a friend at school, and the conflict that comes from her parents' disapproval of the relationship. Anyone who has ever had a crush or been in love (which is almost all of us) should be able to recognize and relate to elements of Sam's story, even if your situation doesn't mirror hers. The early notes depicting the excitement of getting to know someone new and falling in love were particularly powerful. Reading about Sam being shy in approaching her crush, and then finally having the feeling reciprocated is heartwarming. And the eventual roadblocks in the relationship are then equally heartbreaking. The game is loaded with personality that makes the characters more substantial and real.